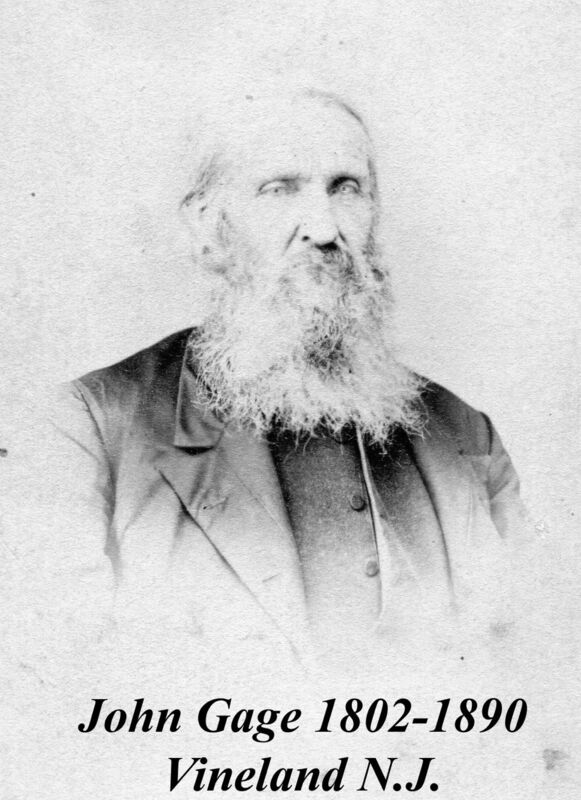 John was born on 12 AUG 1802 in Litchfield, Herkimer Cty, New York, the son of James Gage and Polly Drury. He died on 29 DEC 1890 in Vineland, Cumberland County, New Jersey. 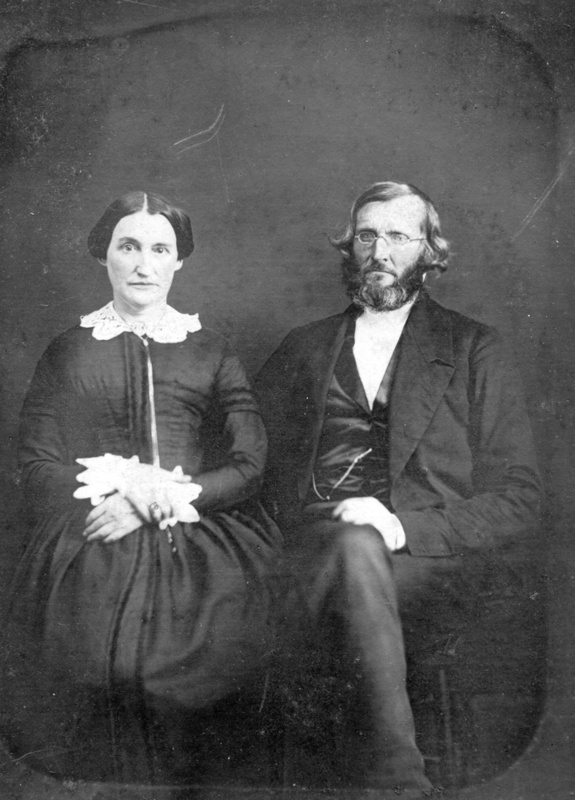 His wife was Portia Kellogg, who he married on 4 Oct 1830 in Watertown, Jefferson Cty, New York. 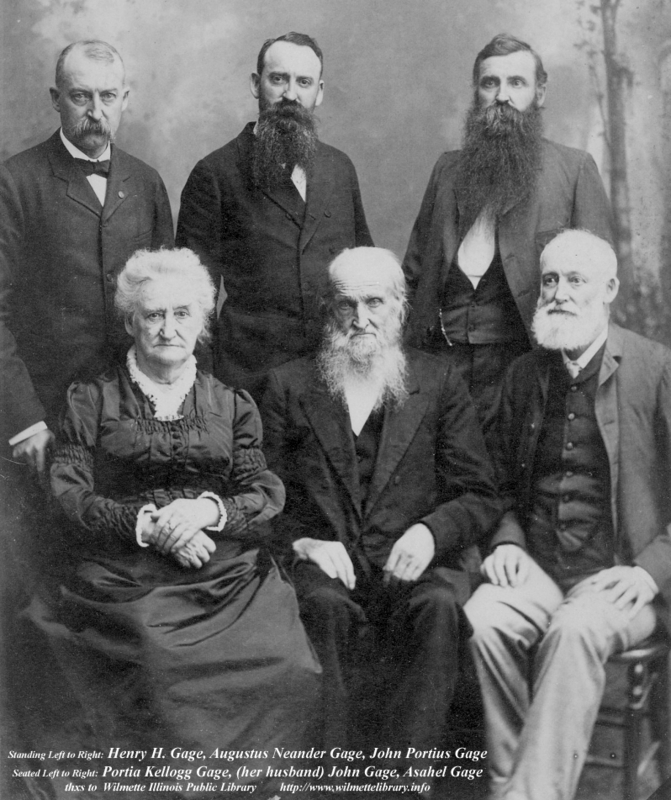 Their eleven known children were Mary (1831-1832), Jared Dana (1834-1868), Asahel (1836-1893), Maria (1839-1840), Willie (1841-1841), Henry H (1842-1911), Cornelia (1845-1845), John Porcius (1846-1932), Lymoin (1850-1852), Augustus Neander (1852-1910) and Birdie (1856-1859).